Click here to check out the book page for Innocence Lost and get a sneak peak of the first chapter. I want to be part of the Readers Group! Criminals, ghosts, and an unlikely woman fighting for a better world. Innocence Lost might be exactly the atmospheric historical mystery that you’ve been waiting for. In 1924 Philadelphia, crime rules the city. Notorious bootleggers like Mickey Duffy don’t take kindly to those who get in their way, even if they’re his wife’s best friends. 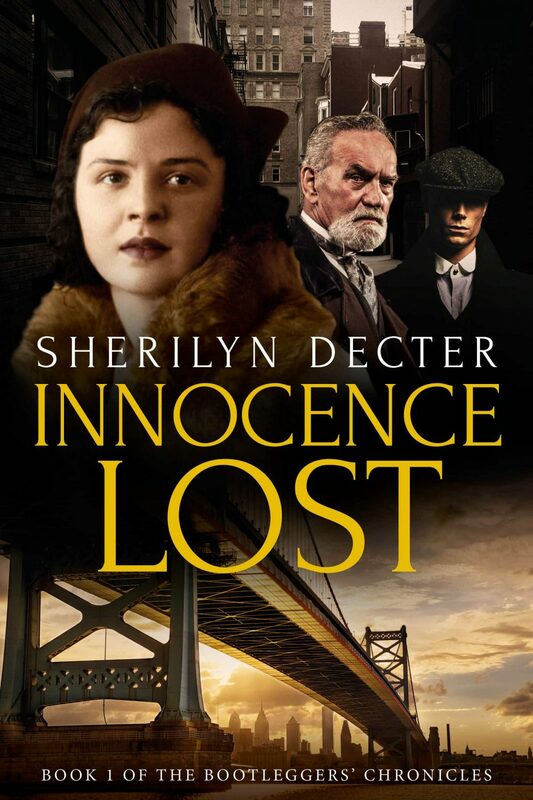 Innocence Lost proves to be a glowing first novel in the Bootleggers’ Chronicles series, setting the reader up for monumental growth, disastrous downfalls, and plenty of secrets to keep you guessing. The Prohibition era was highlighted in the storytelling as well; I had never thought of the many reasons why so many men easily fell into bootlegging after World War I and how women embraced the freedoms of the era after taking up the men's jobs while they were away. While Maggie lends a large hand in avenging Oskar's death, there is still a lot of work to be done in keeping her city safe. I'd love to see what she can accomplish next. This book (Innocence Lost) was such a fun read!... Now, let me tell you right away that at first I could not stand Maggie. At first. I wanted her to be this strong, capable woman (which she was), but she was such a…well, to keep this post family-friendly, we’ll just use the word “snob.” It is a sign of a magnificent author, by the way, to be able to evoke emotions towards their characters. And I definitely had some emotions towards Maggie. But then, she started stepping out of her little box a bit; meeting her neighbors, taking on boarders, and joining forces with quite the ghostly detective. Then I started to see a side of Maggie that I thoroughly enjoyed and rooted for. Y’all, I could not put this book down! And I am so, so happy that it is only Book 1 in “The Bootleggers’ Chronicles,” because I need more. (Innocence Lost was) Fast paced and intriguing, I was immediately drawn into the novel and by the time I looked up I was already halfway through the book! I finished the second half in one sitting too. That's how hard it was to put down. Maggie and Frank are a great team! The Roaring Twenties. It was a decade defined by vitality and violence. The world as they knew it had been blown apart by World War I. 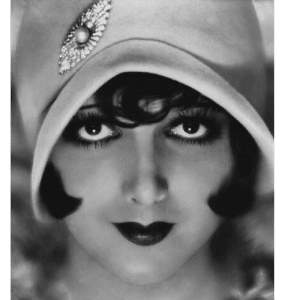 Taking its place were feisty flappers and enterprising bootleggers who lived in a world of back alleys, speakeasies, and smoky jazz clubs. It was a world of elegance and decadence. Women were voting, getting jobs, starting businesses, and reveling in their new found freedom. Men were finding out how many doors could be opened if you carried a tommy gun. 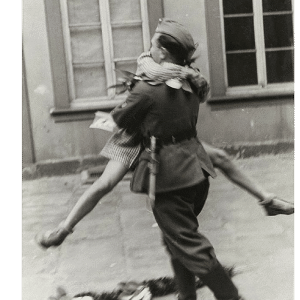 It was a time of lawlessness and injustice. 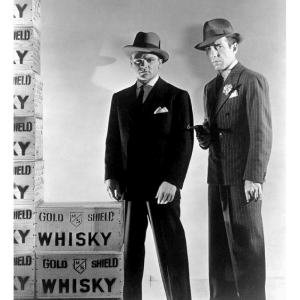 Prohibition turned America into a playground for bootleggers and gangsters. It’s hard to say what was more dangerous; the evil that thrived there, or people who did nothin’ about it. Lose yourself in the Bootleggers’ Chronicles, and discover why everyone loves to hate American gangsters, and how the insatiable spirit of the flapper defined an era. On the last day of the month, Sherilyn will host a Facebook Live on her Facebook page. Join her as she talks about the latest updates on the books and a behind-the-scenes discussion of things that didn’t make it into the Bootleggers’ Chronicles blog. 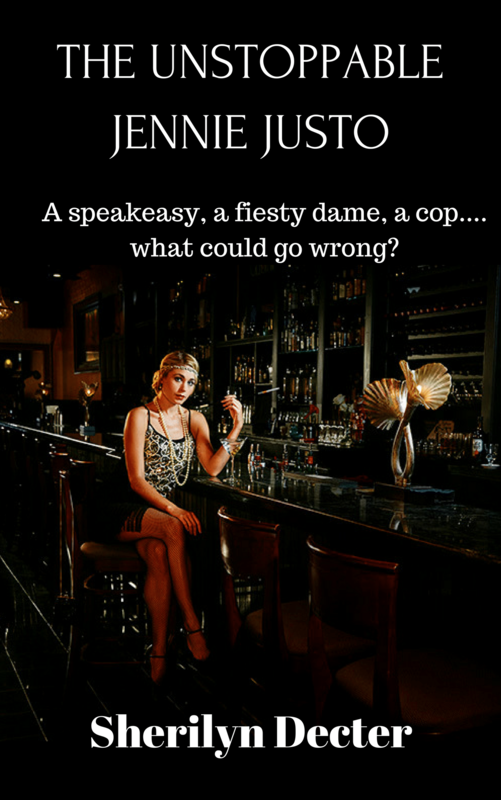 She closes by asking for comments from you about topics you’d like to see covered, advice for plot twists in the books, and discussion of all things related to the Roaring Twenties. Please follow her Facebook page and get notices of the dates and times so that you can join in!